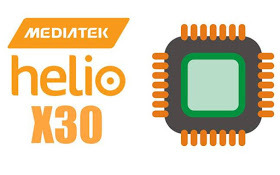 MediaTek has launched yet another chipset --Helio X30-- the new chipset in the Helio X family. 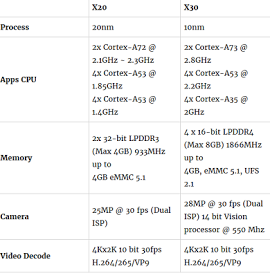 Helio X30 has been brought down to 10nm [nanometers]. It's predecessor --X20-- is 20nanometers. According to MediaTek, they promised that, Helio X30 will give 43% better performance and 53% improved power savings than its predecessor Helio X20. Helio X30 supports LPDDR4 RAM up to 8GB and up to 28-megapixel dual ISPs. MediaTek did not only launch Helio X30, they also introduced Helio P25 which is an upgraded version of the previously launched Helio P20. P20 was introduced earlier this year 2016. Helio P25 also uses the same 16nm TSMC processor, but this will be clocked slightly faster than the P20. Helio X30 is said to be released early next year 2017. The first smartphone to come with this processor is Vernee Apollo. Soon or later, other phones will follow suit. 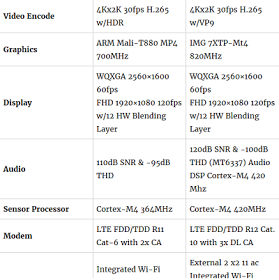 What's your say about this new MediaTek's chipset?